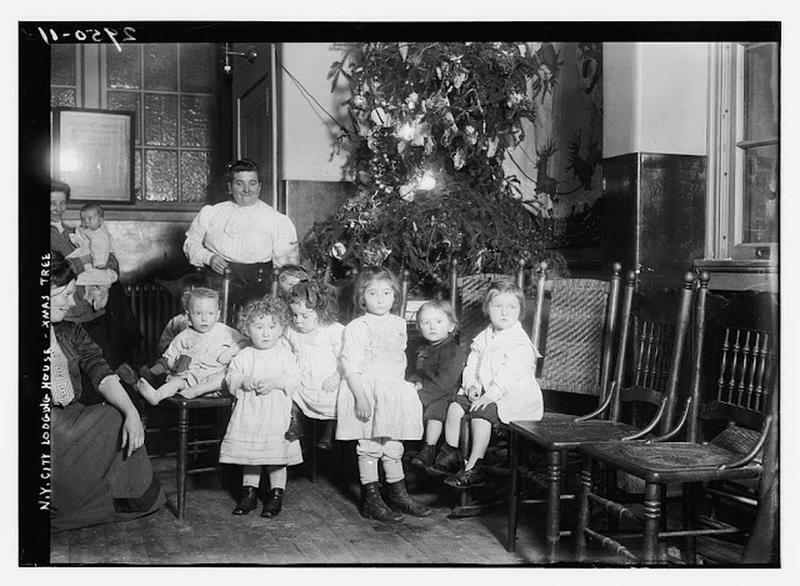 It was German immigrants who popularized the Christmas tree tradition in the US. 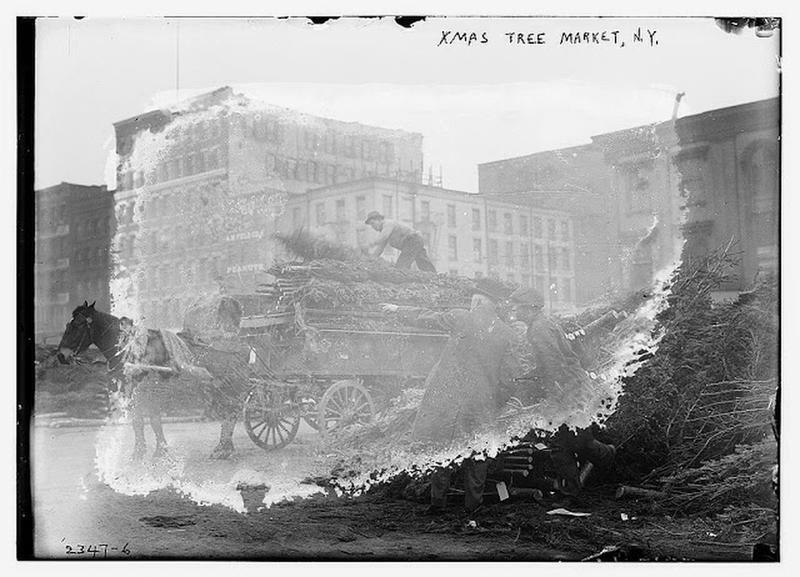 As a huge surge in German immigration began in the 1840s, it’s not surprising that New York’s first Christmas tree market — in fact, the first mass-market sale of Christmas trees in the United States — came along shortly after, in 1851. Woodsman Mark Carr, living in the lush Catskill Mountains, heard tales of families driving outside of town and chopping down evergreen trees to drag into the city. As this is only feasible for wealthy people or for those with a horse or a wagon Carr, Carr thought he’d bring the forest to the city folks. 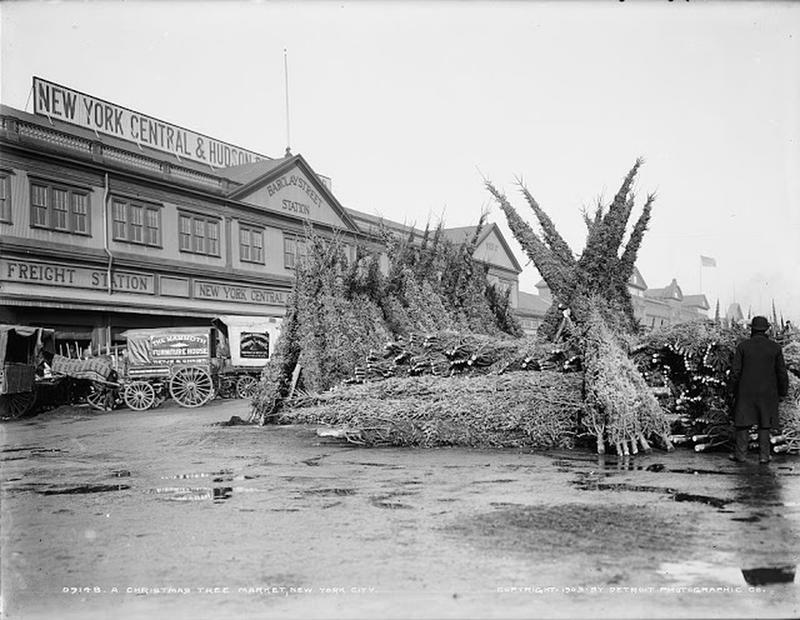 So a couple weeks before Christmas in 1851, Carr and his sons chopped down a couple dozen fir and spruce trees, shoved them into two ox sleds, carted them over to Manhattan on a ferry and set up shop in the Washington Market paying one dollar for the privilege of taking up a sidewalk at Washington Market with his rather ungainly merchandise. 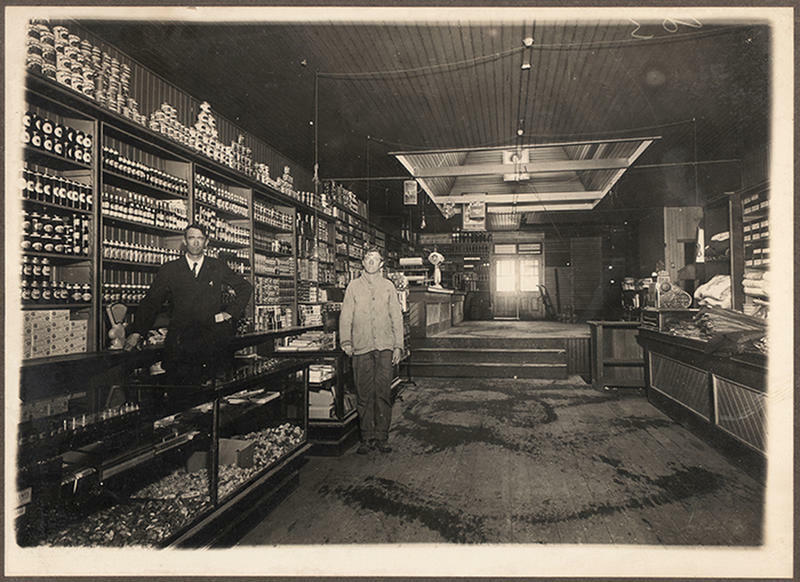 Holiday revelers were thrilled to be spared the journey out of town, and Carr’s entire stock of evergreens sold out within the day. No surprise this financial opportunity was mimicked by other farmers the next year, and within a few years, the open-air Christmas tree market was born. 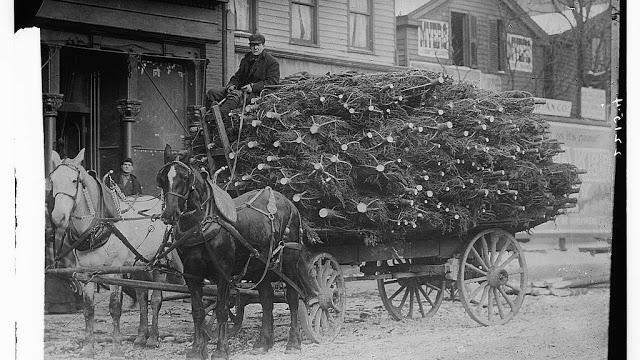 By the 1870s boatloads of evergreen trees from Maine were pulling into New York. The task of moving a forest into crowded Manhattan required additional greased palms. 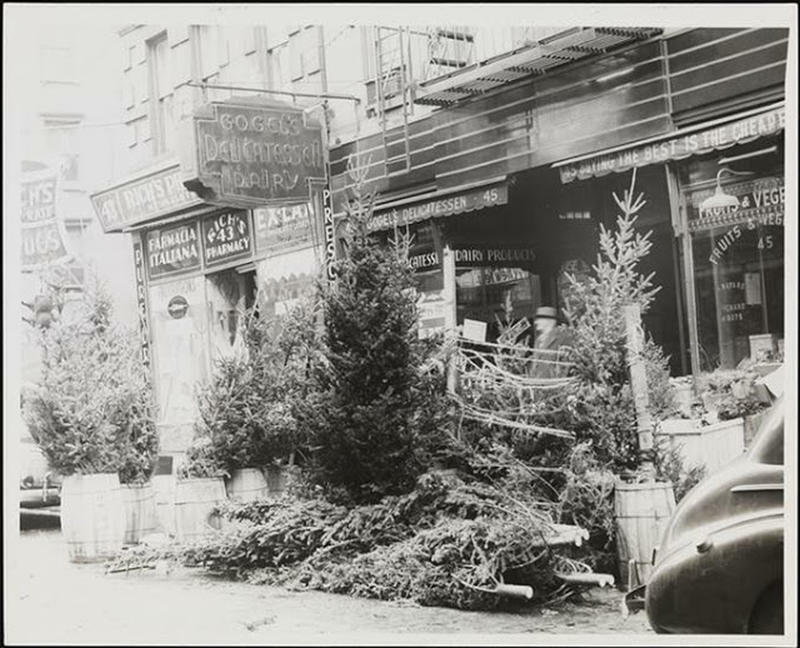 West Street was still the central location of prime Christmas tree sales by the 1930s, but sellers were increasingly bringing their wares onto city streets. 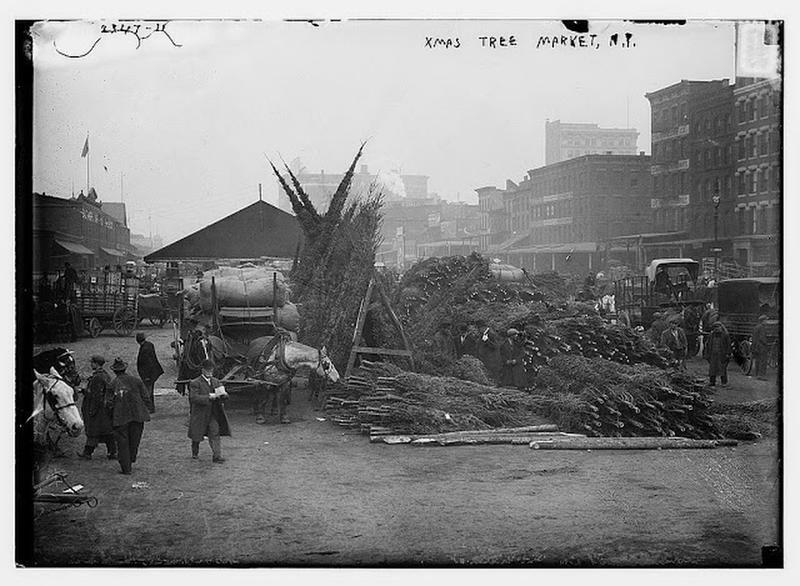 Tree markets were a regular seasonal site by the 1950s, with the deterioration of the New York waterfront.